Disruptor companies are an important consideration for any investor. Thanks to rapid technological innovation, the average company lifespan has fallen from 60 years in 1960 to 12 years today, and stock market returns have been driven by just 20% of stocks. In this video, Citigold's Regional Wealth Management team discuss how investors should approach these companies. The last 10 years have brought about the rise of the disruptors, a small group of companies that has harnessed new technology and consequently displaced whole industries. Take Google, for example, which has shaken up the traditional news media model and online content consumption. Or Netflix, which has grown from a DVD mail service to a digital content curator with a major original production arm. Since December 2016, Facebook, Amazon, Netflix, Google, Baidu, Alibaba and Tencent have risen by an average of 32% – and since 1989, stock market returns have been driven by just 20% of the stocks. Many investors have already benefitted from these companies. Others may wish to include disruptor companies in their portfolio through either active or passive investing – though should remember to avoid over-concentration either way. 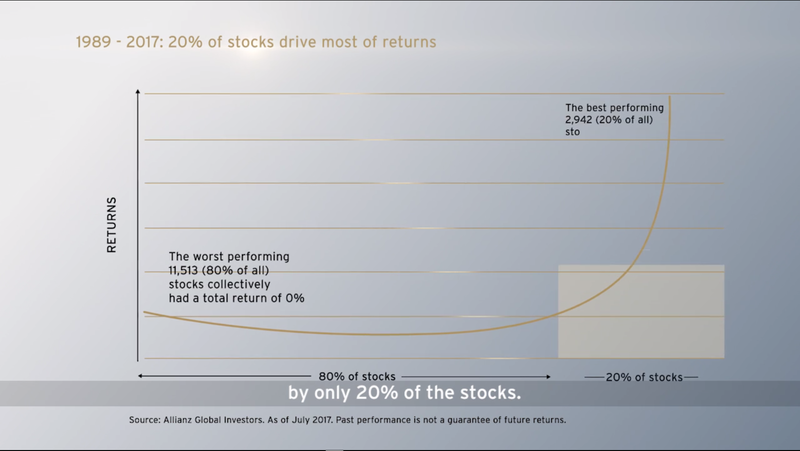 Passive investing gives investors exposure to disruptors that are already part of an index. Active investing aims to seek out disruptors in the earlier stages of growth. Active portfolio managers can help discover up and coming innovative companies that will bring disruption to their industries. If you'd like to find out more about disruptor companies, please contact your Citigold Relationship Manager. Also learn about trading equities in major stock market across the world.